have designed and manufactured ornaments each year. In 2003, two sites where chosen because of the restoration projects, the Seward Mansion and the Baptist Church, which was celebrating its 250 anniversary the same year. In 2004 ,the Flanders Methodist Church was chosen, the Casino for 2005, the Academy for 2006. The 2007 ornament will represent the Budd Lake Chapel. The ornaments are made of pewter with the image on both sides. They cost $9.00 and the proceeds go directly to the Historical Society. They can be obtained by contacting Thea Dunkle at 862-432-0460 or Linda Sohl at 973-691-8116. 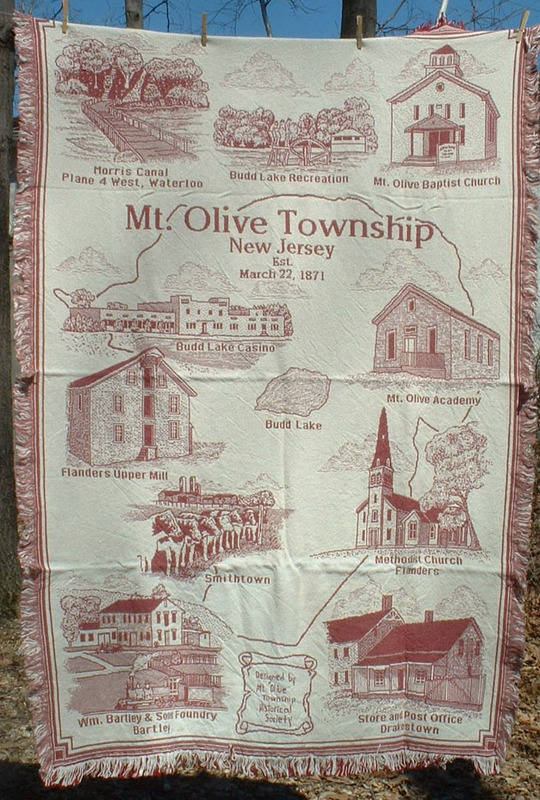 The blanket, designed by the Historical Society, shows historic scenes from the different areas of Mt. 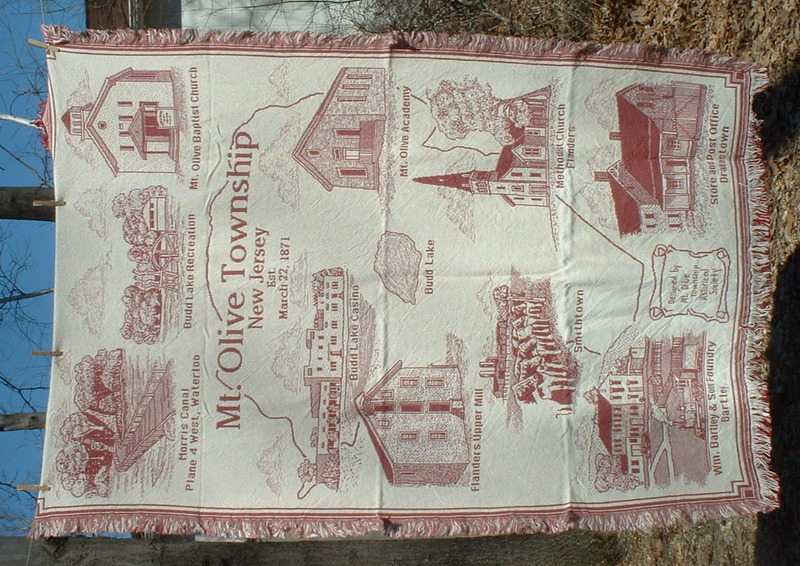 Olive Township. A booklet is enclosed giving a brief description of each image shown on the blanket. All proceeds go directly to the Historical Society. The cost of the blankets are $50.00. They are machine washable and are available in Blue and Rose. They can be obtained by contacting Thea Dunkle at 862-432-0460 or Linda Sohl at 973-691-8116.